This review discusses the preparation and orthogonal reactivity of boryl ortho-silyl(hetero)aryl triflates as precursors for arynes. These triflates undergo a wide variety of selective reactions of either the boronate or aryne component. 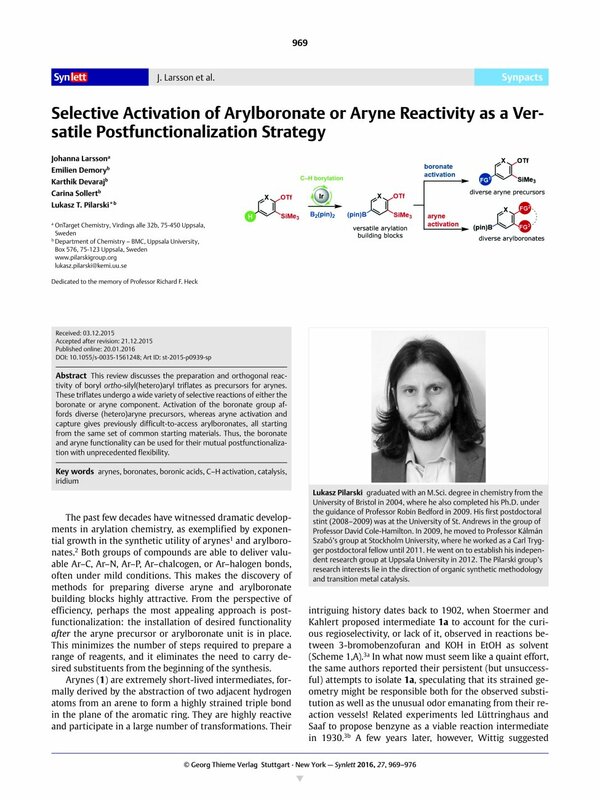 Activation of the boronate group affords diverse (hetero)aryne precursors, whereas aryne activation and capture gives previously difficult-to-access arylboronates, all starting from the same set of common starting materials. Thus, the boronate and aryne functionality can be used for their mutual postfunctionalization with unprecedented flexibility.